PITTSBURGH—Each year, nearly 350,000 Americans die of some form of lung disease, with another 150,000 patients needing short- and long-term care. 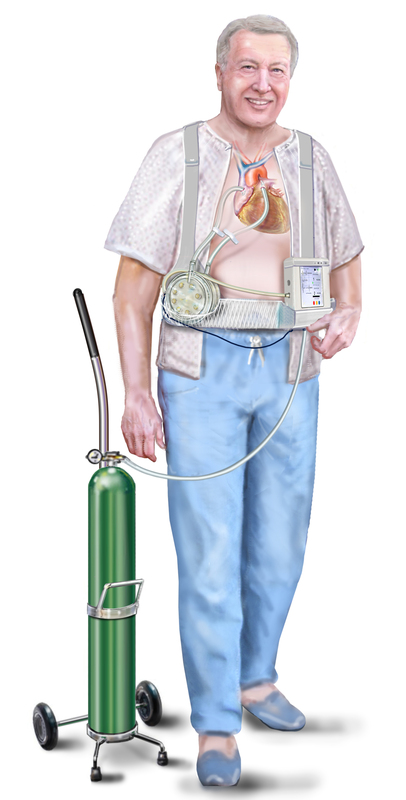 Unfortunately, current breathing-support technologies are cumbersome, often requiring patients to be bedridden and sedated. Now, with the support of a $3.4 million National Institutes of Health grant, researchers at the University of Pittsburgh will develop an artificial lung to serve as a bridge to transplant or recovery in patients with acute and chronic lung failure. “Our wearable lung will be designed to get patients up and moving within the hospital setting, which is important for both patient recovery and improving a patient’s status prior to a lung transplant,” said principal investigator William J. Federspiel, William Kepler Whiteford Professor of Bioengineering in Pitt’s Swanson School of Engineering and director of the Medical Devices Laboratory within the Pitt-UPMC McGowan Institute for Regenerative Medicine. Current long-term breathing support modalities include extracorporeal membrane oxygenation (EMCO)—a cardiac and respiratory technique in which blood is drained from the body, oxygenated outside of it, and returned to the bloodstream. The drawback to EMCO is that it can significantly limit a patient’s mobility and, while mobile ambulatory EMCO systems are beginning to be used clinically, these systems involve unwieldy equipment. The PAAL device will complement recent efforts by the University of Maryland (which developed a wearable artificial pump-lung) by potentially improving the efficiency of the transfer of oxygen and carbon dioxide and increasing biocompatibility, Federspiel explained. Federspiel’s colleagues on the project include William R. Wagner, director of the McGowan Institute as well as a professor of surgery, bioengineering, and chemical engineering in Pitt’s School of Medicine and Swanson School of Engineering; Christian Bermudez, assistant professor of surgery in Pitt’s School of Medicine and associate director of the cardiothoracic transplant division at UPMC; James Antaki, professor of biomedical engineering at Carnegie Mellon University; and Greg Burgreen, associate research professor of surgery at Mississippi State University. Federspiel also is a founder and equity holder of Alung Technologies, a Pittsburgh-based medical start-up company, which provides advanced respiratory support solutions. He joined the University of Pittsburgh faculty in 1995 after receiving his PhD in chemical engineering from the University of Rochester. This is a wearable, fully integrated blood pump and lung designed to provide longer-term respiratory support up to one to three months while maintaining excellent blood compatibility. 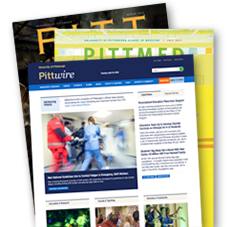 Researchers at the University of Pittsburgh will develop an artificial lung to serve as a bridge to transplant or recovery in patients with acute and chronic lung failure.